Design and development exposure using object oriented and component oriented techniques. Java – Web application development including using JSP and other Java Standard Web Technology. AJAX and Frameworks such as JQuery; is a MUST; SPRING and STRIPES knowledge would be an added advantage. Significant experience with Cross Browser issues. Exposure to Web Accessibility (Section 508; WCAG) standards would be a plus . Bachelor’s degree in computer science, mathematics or related field preferred. Zero years of experience in programming or testing . Experience working in a student employment program or related experience . 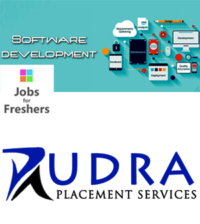 Experience working with appropriate programming languages, operating systems and software.